Remember the 2015 blockbuster movie “Jurassic World”?, With a collection of 1.6 billion USD, the movie proved to be a big hit. Now the stage is set for the Jurassic World slot review to launch at Mail Casino. Developed by Microgaming, this one is based on the same theme and has sound effects from the movie. Overflowing with bonus features, it is no rocket science that this slot is here to stay for long. With 5 reels and the bountiful 243 pay lines, you can have big wins here. Set your bets and coin value first to visit the park and meet the scariest creatures of all time. Hitting the "Bet Button" will let you set the coins sizes ranging from 0.30 to 7.20. After this, you are all set to spin and if you are tired, hit the “Autoplay Button” and let the game do its work. 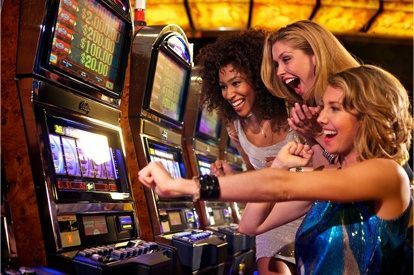 It will not only offer you an easy gameplay but will also let you spin the reels uninterrupted for a selected number of times. The four main characters from the movie serve as the high-value symbols: Owen Brady, Vic Hoskins, Claire Dearing and Simon Masrani. Smaller value symbols are the six dinosaurs- Ankylosaurus, Indominus, Stegosaurus, Velociraptor, Tyrannosaurus and Pteranodon. The slot game includes the wild symbol and the scatter symbol too which is the slot game’s logo and a mosquito in amber respectively. Landing two scatter symbols simultaneously on the reels will transform both the symbols into wilds. The maximum jackpot you can win is £3000. The Indominus feature which can be activated randomly in the base round. When this feature is triggered, the big Indominus appears on the screen and multiplies the amount put at stake by 1000. The Gyrosphere Valley – Reward 10 free spins with increasing multiplier trail. Creation Lab – Reward 10 free spins with rolling reels and Cryo Wilds. All the winning combos will be wiped out from the reels, and new symbols will appear on that reels. This replacing continues until the new winning combos will be made and The cryo wilds will freeze 3 wins before they melt away. Raptor Den – Reward 10 free spins with wild scatters. During this, all scatter that lands will become Wild. The Jurassic world is a mid variance slot, with an RTP of 96.6%.The playing of video clips from the Jurassic World movie whenever you win something makes the gameplay more interesting and attractive. The Jurassic World Slot Review thus shows that this one is really worth a try.